The Cancer Moonshot Blue Ribbon Panel, made up of 28 scientific experts, cancer leaders, and patient advocates, released a 60-page report detailing recommendations for making progress against cancer. Winship Cancer Institute was one of ten regional sites to hold a Cancer Moonshot Summit in June. "Winship Cancer Institute was proud to contribute to the Vice President's Cancer Moonshot report. It serves as a great blueprint for exciting research directions in cancer diagnosis, treatment, prevention, and survivorship," says Walter J. Curran, Jr., MD, executive director of Winship. "There is significant alignment between the panel's recommendations and Winship's own strategic priorities." 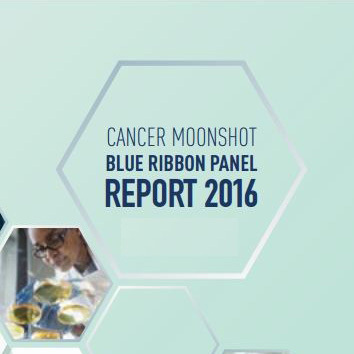 View Cancer Moonshot Blue Ribbon Report.